Home / CRICKET NEWS / Ind vs Aus: A win for India in a match of Do or Die, these players will get the chance! Ind vs Aus: A win for India in a match of Do or Die, these players will get the chance! In the first match of the current series, India had to face a four-run defeat in a close encounter. The second Twenty20 match was canceled due to rain. The final and third match of the T-20 series between India and Australia will be played in Sydney. It is extremely important for Kohli and Company to win this match to equalize the series. In the first match of the current series, India had to face a four-run defeat in a close encounter. The second T20 match was played in Melbourne, but due to the rain, the match had to be canceled. Now the Indian team is behind Australia in this three-match series. This sequence of India, who won seven successive series consecutively, has been broken but now India's eye will try to match the three-match series by expecting a more dynamic performance from their bowlers. India had a great chance to equalize the series in Melbourne on Friday, but the rain reversed its hopes. When the game was stopped due to rain, Australia scored 132 for seven wickets in 19 overs. Now with the victory in the SCG, the Indian team can justify the series but it is important that this will help him to remain positive before the real test of the Test series starting in Adelaide from December 6. India's grand campaign in T20 has been running since July 2017. Since then, he has won in 20 of those 27 T20 matches he has played. Not only that, since August 2017, India has been invincible in nine consecutive T20 series. They include a two-match draw series against Australia in October 2017. After this, India has won seven consecutive series. Among them, the tri-series in Sri Lanka (the third team Bangladesh) and their 2-1 win against England are dominant. 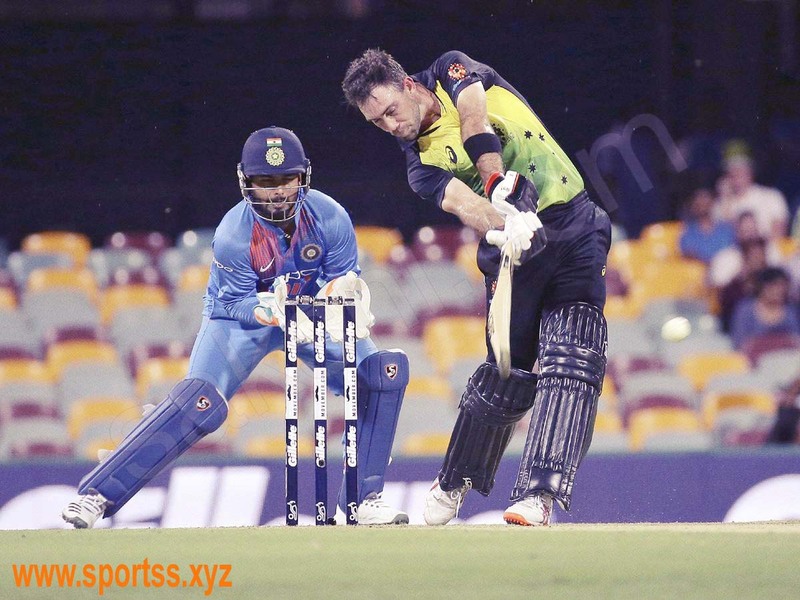 India last cleaned 3-0 in the three-match T-20 series in Australia in 2016, but the rain turned its hopes of winning the Twenty20 series for the second consecutive time here. Now he will try to keep his invincible campaign in the format by winning the Sunday. Before Melbourne, it was discussed that the team management could include Yuswendra Chahal in the last eleven, but it did not happen. Even such a possibility, but considering the good performance of the bowlers, it can also be descended with the same team in the final match. Kohli has shown complete faith in the all-round ability of the Kunal Pandya. In the previous match, Pandya was dismissed by Glenn Maxwell for 26 runs in four overs. Sidney's wicket is also slow and thus there is less chance of keeping Pandya out. If circumstances are favorable for the spinners, India can consider keeping Chahal in the final eleven. Khalil Ahmed will have to sit outside, which has proved to be expensive till now. It will not be easy to dismiss Ahmed as Kohli is also working on the strategy of officiating captain Rohit Sharma. Assign Ahmed to new ball with Bhubaneswar Kumar and bring Jaspreet Bumrah as the first change. If Ahmed does not play then Bhuvi and Bumrah will have to handle the new ball. Virat Kohli will go to number three! Even though the rain was not taking place in Melbourne, but when openers Shikhar Dhawan and Rohit Sharma were ready to bat, Kohli was also wearing pads. There are indications that in view of the consistent failure of KL Rahul, Kohli can come for batting at number three. The Australian team also has their own concerns. His top order is not going on and his injury caused by the injury to fast bowler Billy Stenaken. Australia have replaced Mitchell Starc in the side who played in his last T20 international match in 2016. In the second match, Nathan Coulter played Neyl in his place. The weather is likely to be good on Sunday and if the conditions are not very dry then Aaron Finch may not make a change in his last XI. His team is now in a position to win the series against India and for this, he will not be able to do anything.